In late July, the team launched Bartinney leisure. We are lucky enough to be situated in such an exceptionally dynamic and diverse environment, that we felt the need to share it with as many people as possible. At Bartinney wine is at the centre of what we do. Making truly exceptional wine begins in the vineyard and a great vineyard is founded in a diverse and healthy ecological environment. We are committed to creating experiences, to balance and to excellent combinations – making precious spare time fun. We don’t just make and sell wine, but our trying our hardest to make memories, whether they are visiting the valley, or indeed live here. Under the umbrella sit the newly renovated, double aspect, luxurious vineyard cottages and coastal guest houses. Skyfall the steep, winding trail on the estate, which provides trail runners, cyclists and walkers incredible views over the far and the wider valley. (Its namesake has been given to the small-lot, premium estate Cabernet Sauvignon. Like the trail itself, the wine has a protective hand over all of the wines in the Bartinney range). As well as popular sporting events such as the Bartinney2Bartinney trail run, our live acoustic music and vinyl evenings at our stunning Wine & Champagne Bar and Tasting Shed, and the Banhoek Conservancy, of which Rose is a founding member, which works to socially uplift poorer communities and protect the Banhoek Valley environment. 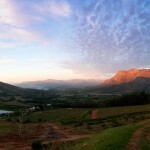 The Bartinney team enjoy nothing more, than seeing the estate be used in its many different dimensions. 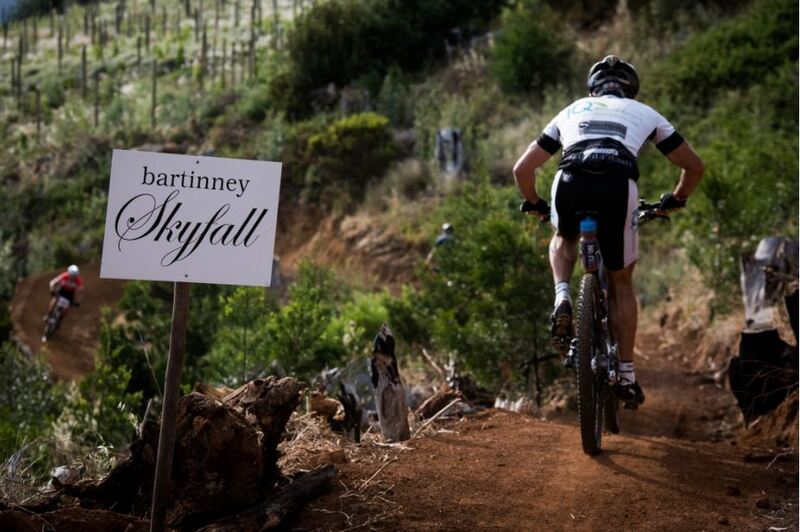 To witness bikers come down Skyfall and then enjoy wine at the Tasting Shed. Leisure isn’t just about fitness, it is also about a healthy mind. We like our guests to meet like-minded people and savour their limited free time – which is why we have live acoustic music events and vinyl evenings. The popular evenings, allow guests to ‘wine down’, with mountain views, wine and music – it’s all about great combinations. Find more out about our events here, or check out our Facebook Page.